Mr. Crafty has been wanting to try tofu omelettes, so we decided they would be perfect for our Monday Brunch. Who knew a tofu omelette could be so good? Mr. Crafty just recently gave up eggs and I think he likes these even better than the egg version. 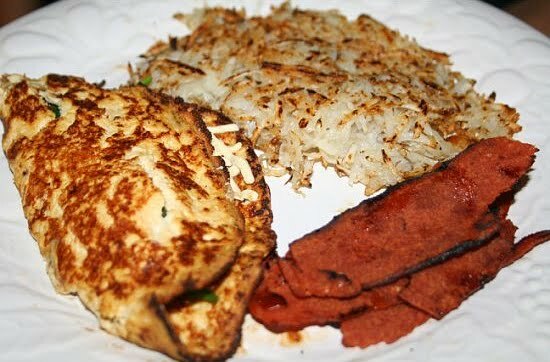 They were delicious and a wonderful alternative to Scrambled Tofu! Blend the tofu, bouillon and yeast together until well combined. It doesn't have to be absolutely smooth. It will resemble pancake batter. Heat earth balance or evoo in skillet. Add tofu mixture and smooth out in an even layer. 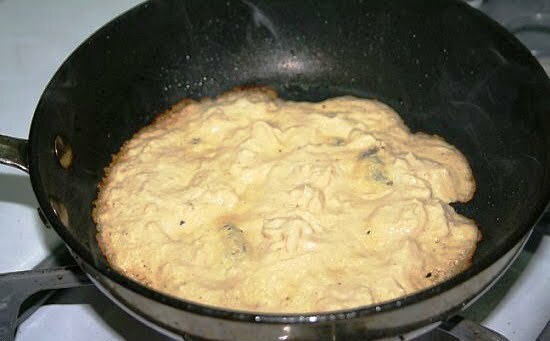 Once the edges are brown and that side is cooked, flip and cook other side. Add your fillings. When that side is cooked, flip it over onto a plate. Enjoy alone or with your choice of sides! 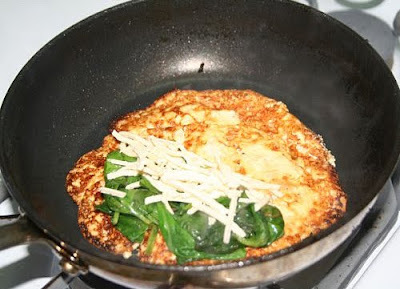 this looks great!Y ou post is right on time because I just thinking about how I could make an omelet with tofu. Hi Monique! Simple ingredients, but oh man they were good. Let me know how your turn out! Did you press your tofu before blending it? Good Morning! No pressing or draining, just rinsed it off, broke into pieces and popped it in the blender. You're welcome, I hope they came out delish!